Recently I’ve been taken with a most intelligent woman, Judyth Vary Baker. Judyth is the proclaimed girlfriend/mistress to Lee Oswald, the man accused of assassinating JFK. For many years Judyth kept quiet about her knowledge and relationship with Lee due to the frightening prospect of being killed for it. She hid away silently until Oliver Stone’s movie about the assassination came out. Then she felt the story should be public and she has been defending her story against the naysayers ever since. Whether you agree or disagree with Judyth is your own business. I currently believe her. ‘Nuff said. I only wanted to bring something very interesting to your attention. One of Judyth’s blogs mentioned an address in New Olreans that Lee lived in while she was dating him. 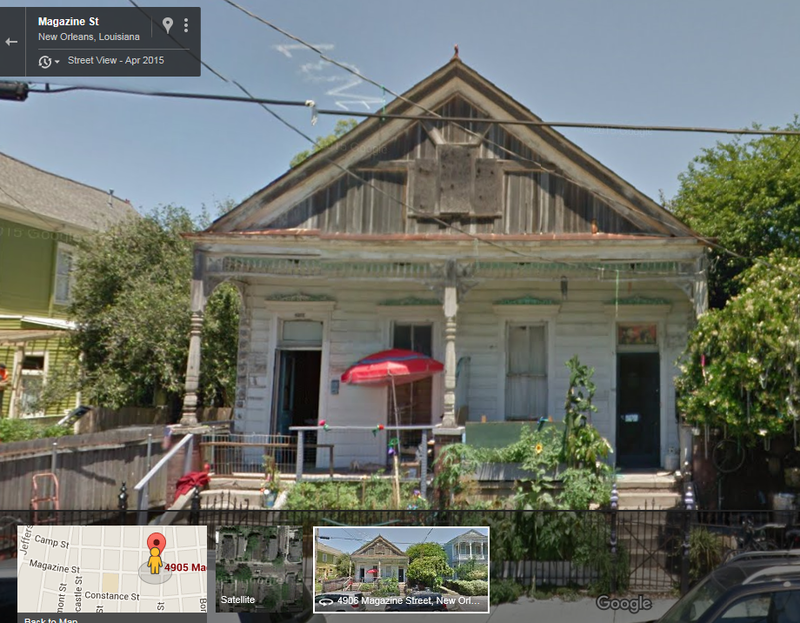 Because I’m interested and a bit of a kook, I decided to look up the address in Google Maps Street View. What oi found scared me a little because normally I don’t believe in spirits, or rather that they can affect the living in any way. Did Lee affect the world in a way to get that message to Judyth? Is the real Lee Oswald really dead? I don’t know, won’t say either way anyway. But it certainly is just as odd as everything else about the JFK assassination and events surrounding it. And possibly one heck of a love story too!